Furnished rentals are just that, apartments that come furnished. Here is what you need to know about furnished rentals before you choose a place to stay when travelling. Standard units consist of the fundamentals, closets, bed, dresser, a TV and sometimes a parking spot. Sophisticated units come ready with appliances, cutlery, pans, pots, plates, you name it. Tenants of furnished rentals normally pack light. Depending on the apartment you find, cost for utilities may or may not be covered in the rental fees, so inquire about this. Furnished rentals are convenient for anyone; as a result, owners are frequently filling them. Property managers’ book rooms for people regularly because there is demand. 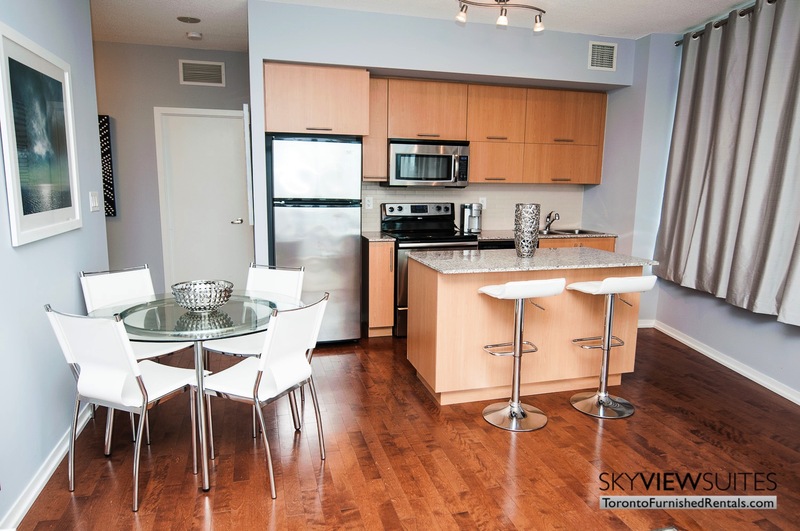 Furnished apartments come in multiple sizes; from studio, 1 or more bedrooms, plus den, to condos or houses. Studios are usually tiny, the bed exposed. The only thing that’s private is the bathroom. These cute little units are admired in cities like Toronto. Condos are available to rent furnished as well. They are ideal for more than one person. For families who travel together, complete houses can accommodate their furnished rental needs. In some cases, like for students, one property can abode multiple scholars depending on the way it is divided. Characteristically there are communal areas, kitchen, bathroom or backyard. Each renter living there will have their own furnished bedroom, but have to live amongst roommates. This allows each person to pay less for living and have the possibility to save more. Furnished rentals can be compared to hotels, since you have to pay to stay. Nonetheless, mull over exactly what your paying for, with furnished apartments you get more. There’s a kitchen so you can cook instead of take or ordering in. A hotel may be a good place to stay for a few days, but an extended stay might leave you feeling claustrophobic. For lengthy visits and to feel at home, a furnished rental takes the score. Renting any furnished apartment is going to come with terms. It is smart to know of the rules and ask questions regarding anything you can think of. For example, what happens when the hot water stops working, who is to be contacted? Make sure you and the owner or property manager is aware of the duration of your stay, and the prices should reflect that. Finally, read the fine print.